Choosing a hideaway dining table and chairs you greatly save the space around. 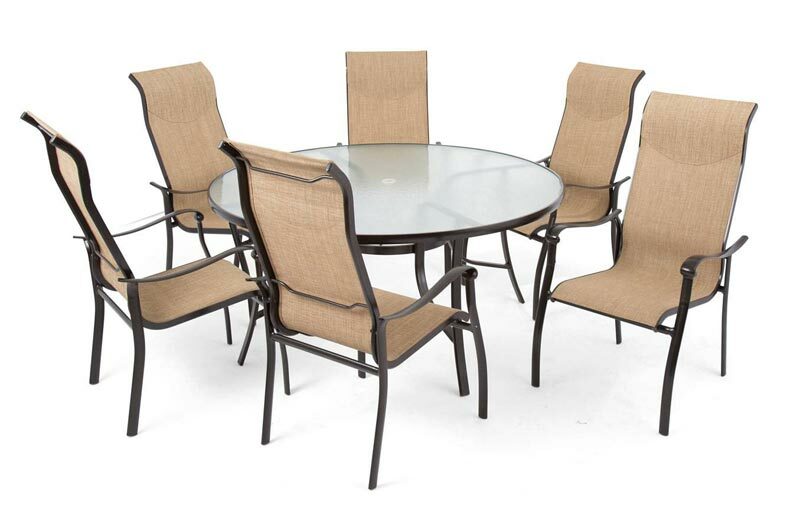 These furniture sets are usually designed for small dining spaces or even patios. 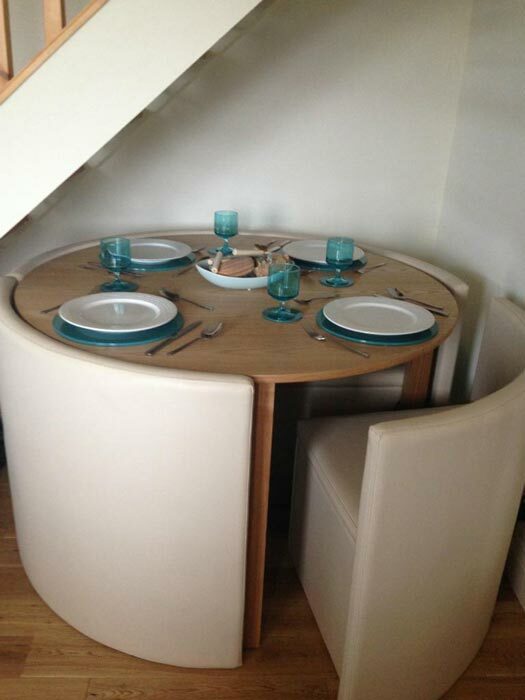 The chairs have unique designs and shapes to fit right into the table and create a cozy round. These dining sets, as a rule, are modern models. In spite of the ubiquitous modern style of the sets, the material, upholstery and color options differ greatly. One of the most sophisticated dining tables with hideaway chairs is offered at the Very UK Store. 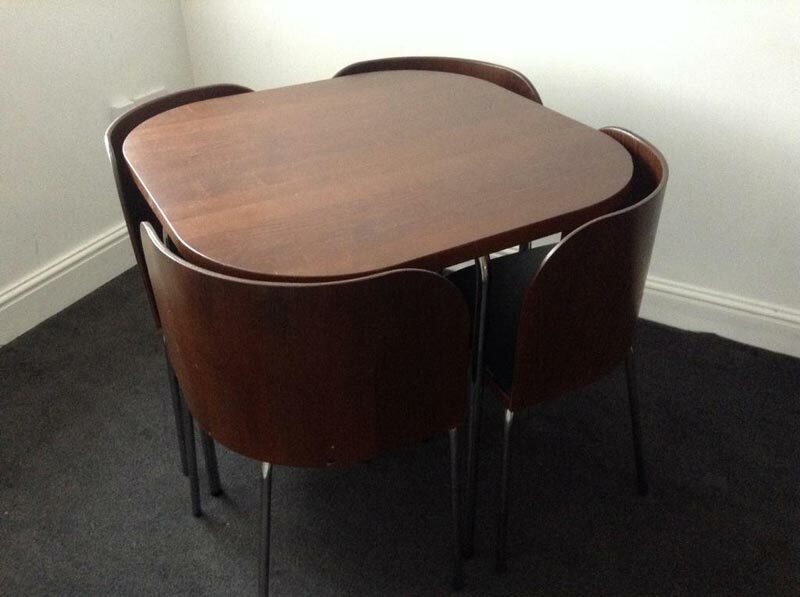 This fabulous set that features a round oak table and four faux leather chairs is priced only £319. 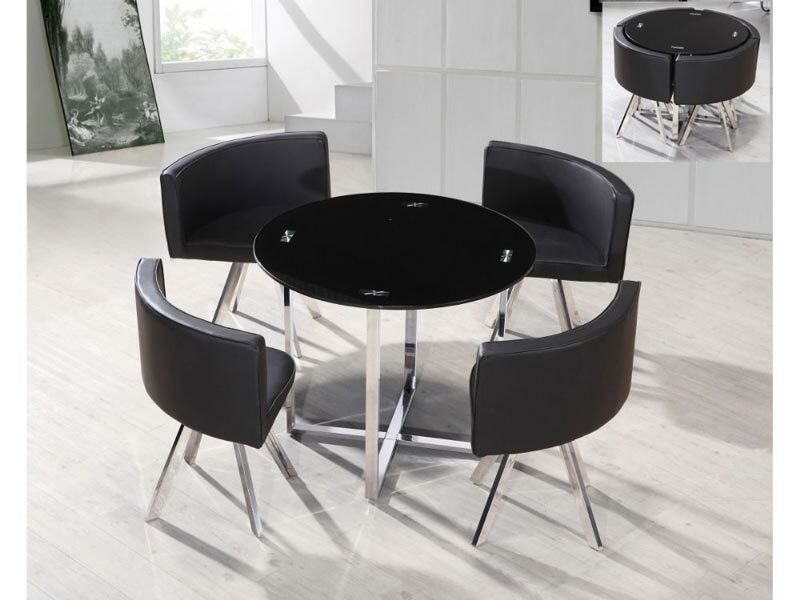 No matter how limited the space of your dining room is, this contemporary hideaway set is sure to fit perfectly. You can have the set in entirely black color (both the table and chairs), brown/oak (chairs/table) and walnut/cream (chairs/table). Which model to choose depends on your dining room interior. The entirely black set brings a dramatic chic look, while the oak finish is for lighter and airy feel. The walnut finish adds a richer look to the space around. 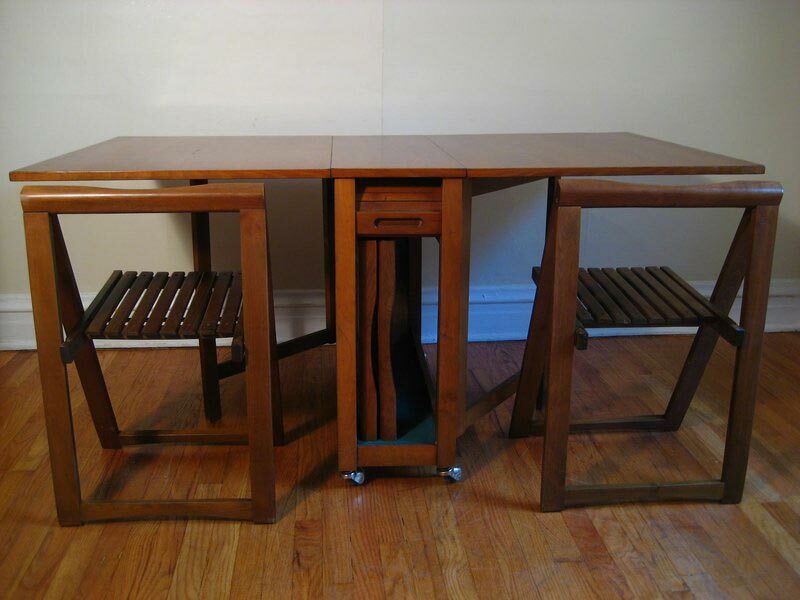 Anyway, if you feature a simpler dining interior and need a respective hideaway dining table and chairs, the Virginia Stowaway set is what you need. Costing as little as only £150, the set promises to make a statement in your home interior with its simple yet attractive look. 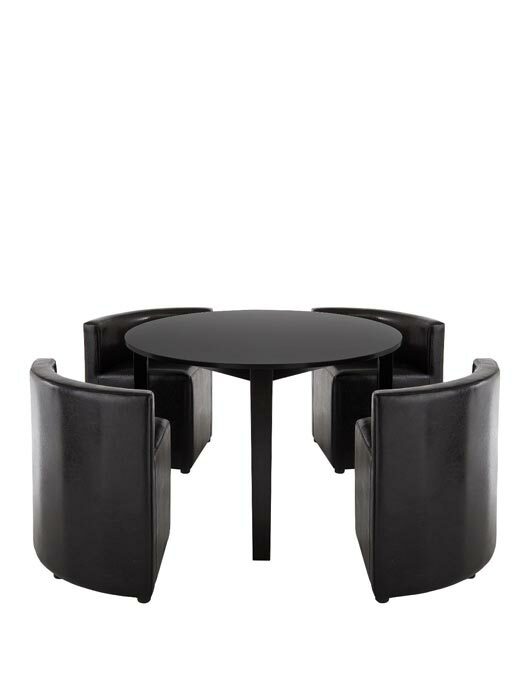 The circular table is made of Simona oak wood. It perfectly “stores” four oak wood chairs with faux leather upholstery under it thus immensely saving the room.